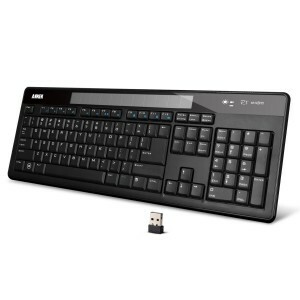 We are happy to announce our third Giveaway over Nissat.org & this time we are giving away Anker 2.4G Wireless Slim Solar Keyboard for Windows with Nano Receiver to one lucky Winner. Contest is Sponsored by Anker. Before letting you know how to enter this giveaway & win this Solar Keyboard, lets read about what Anker 2.4G Wireless Slim Solar Keyboard for Windows with Nano Receiver have to offer the users. Battery: Built-in, backup lithium-ion battery capable of charging in 3h and enables 80 hours of light-free typing. Now the Solar Powered Panel provides constant power under any type of lighting. 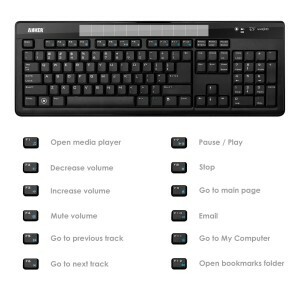 Features of Anker Wireless Solar Keyboard: Customized hot keys, Solar Powered as mentioned above, Auto Sleep-mode to save power & Plug-and-play by using a simple nano USB receiver. This Giveaway is open for U.S & U.K residents only. Tip: Increase your chances by sharing this Giveaway.